Maksim Godovykh designed from scratch and organized hundreds of major business, cultural, and academic events in Russia, and had therefore a unique opportunity to observe and analyze visitor behavior. As a result, he became increasingly involved in visitor experience research and completed several courses in behavioral economics, psychology, psychophysiology, and cognitive neuroscience in order to deeper understand the nature of visitors' emotions, perceptions, behavior, and decision-making. His current research topics are related to the temporal dimensions and outcomes of visitor expereince, including visitor emotions, behavior, well-being, transformation, as well as visitor satisfaction and loyalty. He suggests applying physiological and neuroimaging research methods in tourism and hospitality research in ordr to measure and influence customer expereince before, during, and after the visit. 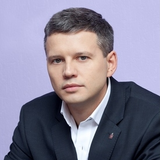 Maksim Godovykh updated their profile information. Maksim Godovykh changed their profile image.